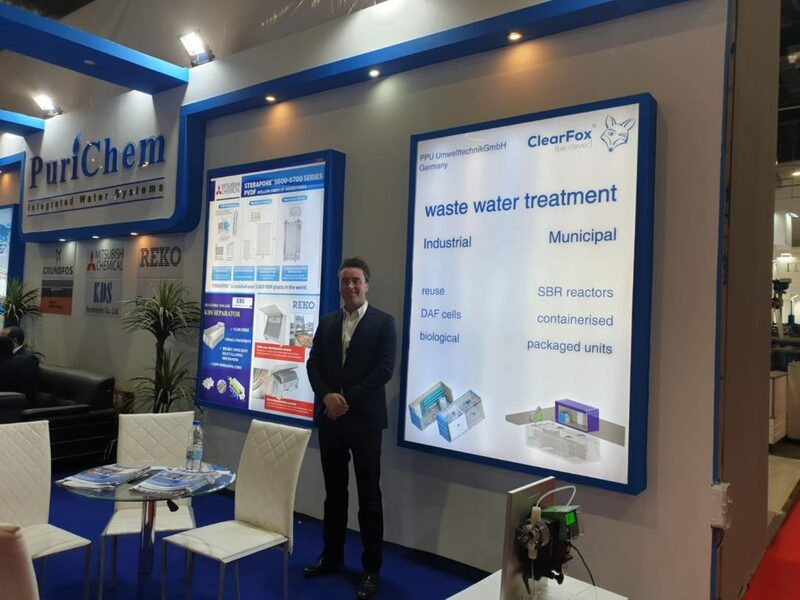 As a leading supplier of innovative wastewater treatment solutions for municipal and industrial clients, ClearFox international sales manager James Clarke – james@clearfox.com – is visiting Watrex Expo. The aim of the visit is to participate in working groups and discussions regarding sustainable wastewater treatment in Egypt. As Egypt is a water scarce country, it is essential that wastewater treatment is utilised to treat wastewater from houses, hotels and other developments – allowing reuse of the treated waster for irrigation, washing and toilet flushing. Wastewater reuse is possible with all clearfox wastewater treatment systems. The clearfox range of products includes a full range of solutions. The clearfox nature is a non electric wastewater treatment system for the cleaning of municipal wastewater. Clearfox SBR kits allow for effective wastewater treatment and disinfection for reuse for projects from single houses to small towns and villages. SBR kits are a very low cost wastewater treatment option as they can be installed in a tank built onsite. Containerised systems can also be used to upgrade existing wastewater treatment plants. In addition to regular sewage and municipal wastewater treatment, clearfox industrial wastewater treatment systems provide a very simple and low cost solution for dealing with industrial wastewater. A partnership with clearfox guarantees low cost effective wastewater treatment for your project.